NOTES: These prices are for bulk orders. We have the capability to send our clients show packaging. ** Can be an extra bonus for fundraising events. Or we can charge retail for the packaging. Imprinted prices include pad printing in any standard color. Please read our artwork specifications. Special PMS color match: an additional $20.00 charge. Artwork charge may apply if camera ready artwork is not supplied. Checks - Please allow 7 days to clear. Shipping Weights: Approximately 3 lbs per 100 pieces. Returns: No returns, unauthorized deductions or discounts without permission from Spanek Enterprises. 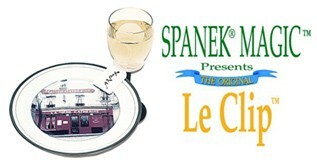 Mail Order to: Spanek Inc.
9:00am and 5:00pm, Pacific Time at 408-446-3000.